Continuing: the above is 1 Peter 1:2 and begins Peter’s describing the “time” of the resurrection of Christ among us and in us. The Holy Spirit in him is speaking of the foreknowledge (prognosis) of God the Father, separating us from the errors and corruption taught by the wise of this world. The word “sanctification” is from the Greek word hagiasmos, meaning to purify and make holy, into obedience to the LORD’s order. It is speaking of the preparation that comes from the sprinkling of the LORD’s blood through us, as the body He has prepared for Himself to dwell in as we willingly offer ourselves and take up our cross as He has shown us. 16 Because it is written, Be you holy; for I am holy. 23 Being born again, not of corruptible seed, but of incorruptible, by the word of God, which lives and abides for ever. 25 But the word of the LORD endures for ever. And this is the word which by the gospel is preached unto you. This is the word of the LORD, Him speaking in me, in all who have received His preparation and become purified into obedience to what they have heard. The word hagiasmos is only used nine other times, all speaking of the preparation, and willingly joining with the LORD, into one body, which is the plan and will of God. 16 Know you not, that to whom you yield yourselves servants to obey, his servants you are to whom you obey; whether of sin unto death, or of obedience unto righteousness? 17 But God be thanked, that you were the servants of sin, but you have obeyed from the heart that form of doctrine which was delivered you. 18 Being then made free from sin, you became the servants of righteousness. 19 I speak after the manner of men because of the infirmity of your flesh: for as you have yielded your members servants to uncleanness and to iniquity unto iniquity; even so now yield your members servants to righteousness unto holiness [hagiasmos]. 20 For when you were the servants of sin, you were free from righteousness. 21 What fruit had you then in those things whereof you are now ashamed? for the end of those things is death. 22 But now being made free from sin, and become servants to God, you have your fruit unto holiness [hagiasmos], and the end everlasting life. The sin, uncleanness, and inequity spoken of above are the erroneous teaching and doctrines of men, which are taught in all the churches and worshipped as idols in place of God. 20 Where is the wise? where is the scribe? where is the disputer of this world? has not God made foolish the wisdom of this world? 31 That, according as it is written, He that glories, let him glory in the LORD. Hagiasmos is next used three times in 1 Thessalonians 4, where Paul is speaking to those he has described in chapter 2 as who have received his word as the word of God, which it is. He continues by describing the attack they are under, by men who are forbidding them to speak to those who don’t know God. He describes those receiving the word as the living who are in the presence of the LORD at His coming, and later in chapter 4, all others who haven’t as the sleeping and dead. This is the context of Paul’s speaking concerning those who are asleep, to whom the LORD would and now has sent an archangel, who is drawing all men to Him by the rightly divided word. 8 So being affectionately desirous of you, we were willing to have imparted unto you, not the gospel of God only, but also our own souls, because you were dear unto us. 9 For you remember, brethren, our labour and travail: for labouring night and day, because we would not be chargeable unto any of you, we preached unto you the gospel of God. 12 That you would walk worthy of God, who has called you unto his kingdom and glory. 13 For this cause also thank we God without ceasing, because, when you received the word of God which you heard of us, you received it not as the word of men, but as it is in truth, the word of God, which effectually worketh also in you that believe. 16 Forbidding us to speak to the Gentiles that they might be saved, to fill up their sins always: for the wrath is come upon them to the uttermost. 17 But we, brethren, being taken from you for a short time in presence, not in heart, endeavored the more abundantly to see your face with great desire. 18 Wherefore we would have come unto you, even I Paul, once and again; but Satan hindered us [the power and spirit at work in these wicked men, sitting in God’s seat opposing Him and His truth]. 19 For what is our hope, or joy, or crown of rejoicing? Are not even you in the presence of our LORD Jesus Christ at his coming? 20 For you are our glory and joy. 1 Furthermore then we beseech you, brethren, and exhort you by the LORD Jesus, that as you have received of us how you ought to walk and to please God, so you would abound more and more. 2 For you know what commandments we gave you by the LORD Jesus. 7 For God has not called us unto uncleanness, but unto holiness [hagiasmos]. 8 He therefore that despises, despises not man, but God, who has also given unto us his holy Spirit. 9 But as touching brotherly love you need not that I write unto you: for you yourselves are taught of God to love one another. 12 That you may walk honestly toward them that are without, and that you may have lack of nothing. 13 But I would not have you to be ignorant, brethren, concerning them which are asleep, that you sorrow not, even as others which have no hope. The next use of hagiasmos is in 2 Thessalonians 2:13 as Paul describes the hand from which we are snatched, caught away by the truth. There Paul describes them as the wicked and unreasonable men, in who works the spirit of disobedience, who are sitting in the seats of God. In chapter 3 we are told they are those forbidding the gospel/truth from having free course, so it would do its work and be seen as the word of God, as it is. Paul says we should pray that we would be delivered from these men, the same men he says in chapter 2 are holding down and will hold down (katecho), until they are taken out of the way. The false doctrine of the rapture keeps men held down in the hands of idol worship and causes them to deny the truth the LORD sends them by His presence in us. This is the place we are called to, the hagiasmos, without which no man will see the LORD, in the rightly divided word of truth, which is heaven where He is found. 5 Remember you not, that, when I was yet with you, I told you these things? 6 And now you know what withholds [katecho – holds down] that he might be revealed in his time. 7 For the mystery of iniquity does already work: only he who now lets [katecho] will let [will hold down], until he be taken out of the way. 15 Therefore, brethren, stand fast, and hold the traditions which you have been taught, whether by word, or our epistle. 2 And that we may be delivered from unreasonable and wicked men [the same wicked spoken of in verse 8 above]: for all men have not faith. 4 And we have confidence in the LORD touching you, that you both do and will do the things which we command you. 6 Now we command you, brethren, in the name of our LORD Jesus Christ, that you withdraw yourselves from every brother that walks disorderly, and not after the tradition which he received of us. 11 Now no chastening [correction] for the present seems to be joyous, but grievous: nevertheless afterward it yields the peaceable fruit of righteousness unto them which are exercised thereby. 17 For you know how that afterward, when he would have inherited the blessing, he was rejected: for he found no place of repentance, though he sought it carefully with tears. 24 And to Jesus the mediator of the new covenant, and to the blood of sprinkling, that speaks better things than that of Abel. 26 Whose voice then shook the earth: but now he has promised, saying, Yet once more I shake not the earth only, but also heaven. 27 And this word, Yet once more, signifies the removing of those things that are shaken, as of things that are made, that those things which cannot be shaken may remain. 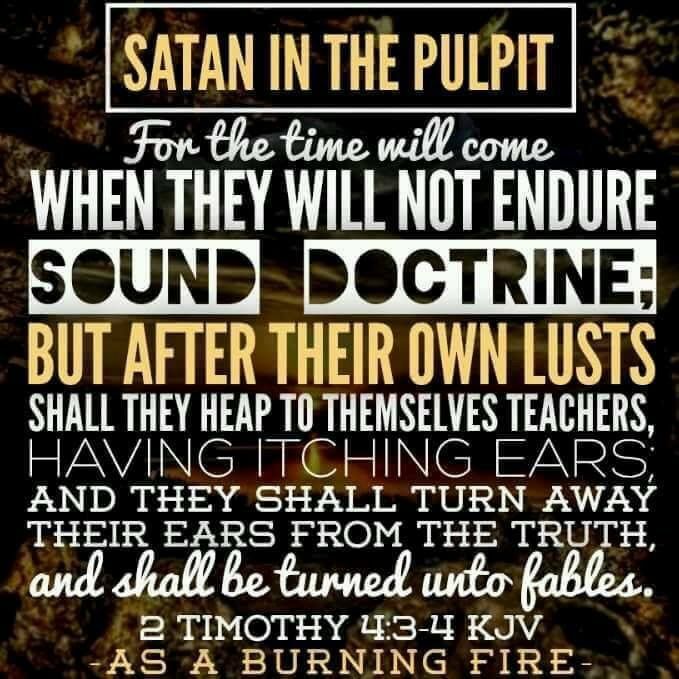 It is the same “time” Paul speaks of in 2 Thessalonians 2:6, when the wicked holding down (katecho) will be revealed in their “time.” The objective is that the gospel would have free to course to those who don’t know God, and be seen as the word of God, as it is. In this the world will understand this is the presence of the LORD GOD ALMIGHTY at His appearing and kingdom on earth, as it is in heaven. This is God’s plan, His prognosis, which is only spoken of one other time, again in the words of Peter recorded in Acts 2:23. There it is also telling of the foolishness of the cross, and God’s foreknowledge of the response of the wise and powerful of the world, and the glory that is revealed by this in this last time. 15 For these are not drunken, as you suppose, seeing it is but the third hour of the day. 24 Whom God has raised up, having loosed the pains of death: because it was not possible that he should be holden of it. 27 Because you will not leave my soul in Hades [the place where the dead reside], neither will you suffer your Holy One to see corruption. 28 You have made known to me the ways of life; you shall make me full of joy with your countenance. 31 He seeing this before spake of the resurrection of Christ, that his soul was not left in Hades, neither his flesh did see corruption. 32 This Jesus has God raised up, whereof we all are witnesses. 33 Therefore being by the right hand of God exalted, and having received of the Father the promise of the Holy Ghost, he has shed forth this, which you now see and hear. 35 Until I make your foes your footstool. 36 Therefore let all the house of Israel know assuredly, that God has made the same Jesus, whom you have crucified, both LORD and Christ. 38 Then Peter said unto them, Repent, and be baptized every one of you in the name of Jesus Christ for the remission of sins, and you shall receive the gift of the Holy Ghost. 10 For you will not leave my soul in Sheol [among the dead]; neither will you suffer your Holy One to see corruption [the degeneration away from God, that is common among man]. 11 You will shew me the path of life: in your presence is fullness of joy; at your right hand there are pleasures for evermore. 1 Hear the right, O LORD, attend unto my cry, give ear unto my prayer, that goes not out of feigned lips [deceptive and manipulative words]. 2 Let my sentence come forth from your presence; let your eyes behold the things that are equal. 3 You have proved mine heart; you have visited me in the night; you have tried me, and shall find nothing; I am purposed that my mouth shall not transgress. 4 Concerning the works of men, by the word of your lips I have kept me from the paths of the destroyer. 5 Hold up my goings in your paths, that my footsteps slip not. 6 I have called upon you, for you will hear me, O God: incline your ear unto me, and hear my speech. 7 Show your marvelous lovingkindness, O you that saves by your right hand them which put their trust in you from those that rise up against them. 9 From the wicked that oppress me [shadad – spoiled as in Isaiah 33:1 four times, Jeremiah 4 four time, and Zechariah 11 three times], from my deadly enemies, who compass me about. 10 They are enclosed in their own fat: with their mouth they speak proudly. 12 Like as a lion that is greedy of his prey, and as it were a young lion lurking in secret places. 14 From men which are your hand, O LORD, from men of the world, which have their portion in this life, and whose belly you fill with your hid treasure: they are full of children, and leave the rest of their substance to their babes. 15 As for me, I will behold your face in righteousness: I shall be satisfied, when I awake, with your likeness. 1 Woe to you that spoils [shadad], and you were not spoiled [shadad]; and dealt treacherously, and they dealt not treacherously with you! when you shall cease to spoil [shadad], you shall be spoiled [shadad]; and when you shall make an end to deal treacherously, they shall deal treacherously with you. 2 O LORD, be gracious unto us; we have waited for you: be you their arm every morning, our salvation also in the time of trouble. 3 At the noise of the tumult the people fled; at the lifting up of yourself the nations were scattered. 4 And your spoil shall be gathered like the gathering of the caterpillar: as the running to and fro of locusts shall he run upon them. 5 The LORD is exalted; for he dwells on high: he has filled Zion with judgment and righteousness. 6 And wisdom and knowledge shall be the stability of your times, and strength of salvation: the fear of the LORD is his treasure. 13 Behold, he shall come up as clouds, and his chariots shall be as a whirlwind: his horses are swifter than eagles. Woe unto us! for we are spoiled [shadad]. 14 O Jerusalem, wash your heart from wickedness, that you may be saved. How long shall your vain thoughts lodge within you? 15 For a voice declares from Dan, and publishes affliction from mount Ephraim. 16 Make you mention to the nations; behold, publish against Jerusalem, that watchers come from a far country, and give out their voice against the cities of Judah. 17 As keepers of a field, are they against her round about; because she has been rebellious against me, says the LORD. 18 Your way and your doings have procured these things unto you; this is your wickedness, because it is bitter, because it reaches unto your heart. 19 My bowels, my bowels! I am pained at my very heart; my heart makes a noise in me; I cannot hold my peace, because you have heard, O my soul, the sound of the trumpet, the alarm of war. 20 Destruction upon destruction is cried; for the whole land is spoiled [shadad]: suddenly are my tents spoiled [shadad], and my curtains in a moment. 21 How long shall I see the standard, and hear the sound of the trumpet? 22 For my people is foolish, they have not known me; they are sottish children, and they have none understanding: they are wise to do evil, but to do good they have no knowledge. 24 I beheld the mountains, and, lo, they trembled, and all the hills moved lightly. 25 I beheld, and, lo, there was no man, and all the birds of the heavens were fled. 26 I beheld, and, lo, the fruitful place was a wilderness, and all the cities thereof were broken down at the presence of the LORD, and by his fierce anger. 27 For thus has the LORD said, The whole land shall be desolate; yet will I not make a full end. 28 For this shall the earth mourn, and the heavens above be black; because I have spoken it, I have purposed it, and will not repent, neither will I turn back from it. 29 The whole city shall flee for the noise of the horsemen and bowmen; they shall go into thickets, and climb up upon the rocks: every city shall be forsaken, and not a man dwell therein. 30 And when you are spoiled [shadad], what will you do? Though you cloth yourself with crimson, though you deck you with ornaments of gold, though you rent your face with painting, in vain shall you make yourself fair; your lovers will despise you, they will seek your life. 31 For I have heard a voice as of a woman in travail, and the anguish as of her that brings forth her first child, the voice of the daughter of Zion, that bewails herself, that spreads her hands, saying, Woe is me now! for my soul is wearied because of murderers. 1 Open your doors, O Lebanon [the high places that should be pure], that the fire may devour your cedars [these corrupted men who have grown from the earth]. 2 Howl, fir tree; for the cedar is fallen; because the mighty are spoiled [shadad]: howl, O you oaks of Bashan; for the forest of the vintage is come down. 6 For I will no more pity the inhabitants of the land, says the LORD: but, lo, I will deliver the men every one into his neighbor’s hand, and into the hand of his king: and they shall smite the land, and out of their hand I will not deliver them. 8 Three shepherds also I cut off in one month; and my soul loathed them, and their soul also abhorred me. 9 Then said I, I will not feed you: that that dies, let it die; and that that is to be cut off, let it be cut off; and let the rest eat every one the flesh of another. At that day you shall know that I am in my Father, and you in me, and I in you. In the light of the king’s countenance is life; and his favor is as a cloud of the latter rain. Now it is high time to awake out of sleep: for now is our salvation nearer than when we believed. Knowing this first, that there shall come in the last days scoffers, walking after their own lusts, And saying, Where is the promise of his coming? The work is great and large, and we are separated upon the wall, one far from another. In what place therefore you hear the sound of the trumpet, resort you there unto us: our God shall fight for us.